William Sirls writes a “Christian” drama about the lives of five people in the small town of Bennis, Michigan. 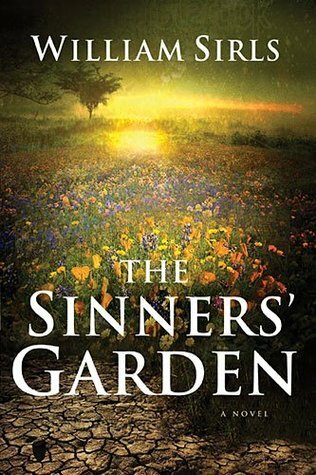 The story centers around the mysterious appearance of a beautiful garden on the edge of town and it’s connection with the trials of the main characters in the story, especially a young teenager who has been scarred by the abuse of his father. The story is beautifully written and almost exclusively focuses only on just a few characters. The characters were well fleshed out so that you really cared about them. The story really centered around the need for this young man to reconcile with his mother and especially with God. The issue of physical abuse and the pain (physical and emotional) it caused was strongly emphasized and appears to be the central focus of the book as it begins and ends with that theme. And from there, Sirls focused on the need for healing of those wounds. Forgiveness was key. For the “healing” of several characters, forgiveness was the main issue and the change after they forgave was amazing. The story also deals with the issue of death – death of a pet, of a father, of a friend and knowing where they will be after death. How you can know you are going to heaven or your loved one is in heaven? According to Sirls, this is based on faith. And heaven is the ultimate healing of sickness. What was missing in this story though was a focus on Jesus. Certainly God was mentioned all the time. They saw “a man” in the garden but not his face. The conclusion was that this was God. Andy goes to his pastor seeking spiritual help and there is not one mention of Jesus Christ and redemption. In fact, not once did the name of Jesus or Christ come up (unless you count the word “Christian.” That was disappointing as this book could really have been a great testimony to salvation and healing through Jesus and the cross. For that reason, I feel that Sirls missed the boat. There is more to Christianity than believing in God. No one can come to the Father except through Christ. I thought the Uncle Rip character was sitting in the church discussing Christ on the cross with the minister and says something like “he died for me and would have died for me alone.” Wasn’t that what made Rip’s part of the garden disappear and when the minister said he was ready to go? I honestly don’t remember him referring to Jesus death. If you could find the page and that quote, that would be great. I loved the book but it does bother me that Sirls seemed to go out of his way to not mention Jesus by name when it could have been done many times. I don’t know if he didn’t want to get too preachy or what. He mentions the Holy Spirit but why not Jesus – why not the cross? this is the main source of forgiveness. I gave my copy to a friend and was reading reviews for our book club, so I don’t have the page number. Rip definitely talked about Jesus dying on the cross for him and even said Jesus would have died for him alone. I know it was right after him and his sister returned from the hospital with the second opinion on his cancer. Him and the minister were sitting at the church and it was right before he ran into that guy that snitched on him. He walks home and was going to punch the guy and then remembered bloody palms (another Jesus reference) and didn’t. Rip realizing Christ died for him was the lesson he needed to hear and right after this part of the book was when his section of the garden disappeared. Hope this helps! The thing I didn’t understand was whether or not he really jumped that canal. Yes I found it – p. 360. He definitely refers to the cross and the price paid for him even though he never mentions Jesus by name. thanks! I wish he would have mentioned it to Andy too! I didn’t get that whole thing about jumping the canal either. I think it was probably a symbol of dying and the flowers were heaven. Rip made it (and so did Milo). All dogs go to heaven? LOL! I think you are right about the symbolism and heaven.